Spicy shrimp served atop a bed of cole slaw with bacon mixed in. We'd gotten a head of cabbage since it was on sale, and I wanted to try out roasted cabbage slices. However, we didn't really want to eat that much roasted cabbage. Thinking about various cabbage dishes I tried. I kept remembering all the failures I've had with cooked cabbage. So I figured I'd make a dish with raw cabbage - cole slaw. Since we didn't want a massive quantity of any one slaw, I made smaller portions of five different slaws. And instead of turning this blog into a cole slaw blog for the next week or so, I'm doing a series on cole slaw like I did with guacamole and spreading out the posts over five Wednesdays (plus a bonus on week 6!) - so be sure to stop by again! I'd never really thought about putting meats or seafood with cole slaw, but it was Saturday, so I wanted to mix in a bit of seafood as well. Cole slaw goes well with things like pulled pork or BBQ or grilled foods, so I thought I'd make a really simple "rub" and just cook the shrimp in it. Great idea! 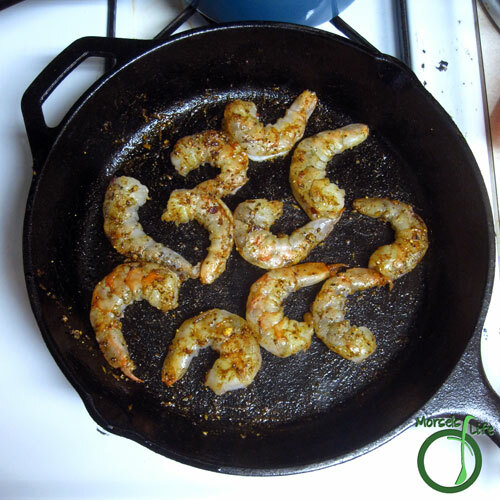 We couldn't believe how easy the shrimp was to make, plus the flavor was delectable. 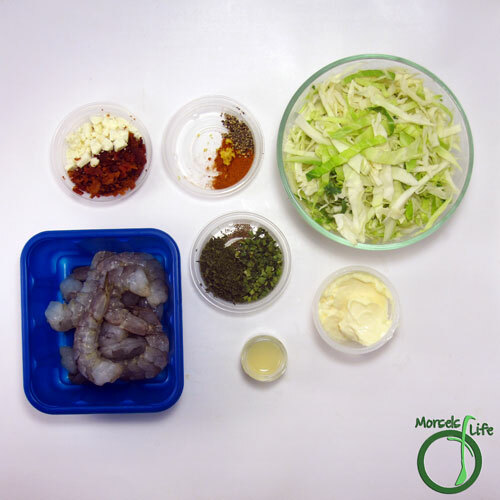 The savory shrimp perfectly complemented the slaw. I'm thinking I've got a keeper, even if only for the shrimp! For the cole slaw, I kept it pretty standard, just throwing in some bacon for extra flavor. Give it a try and see what you think! 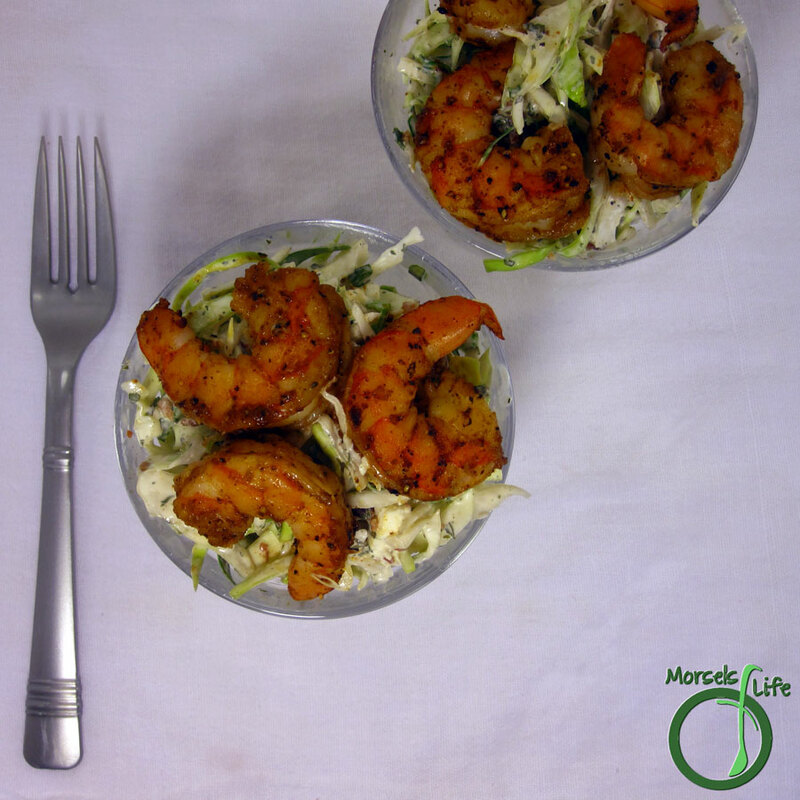 Have you ever had shrimp with slaw? Heat garlic, pepper, and paprika in a bit of oil until fragrant. Add in shrimp, and cook until done. 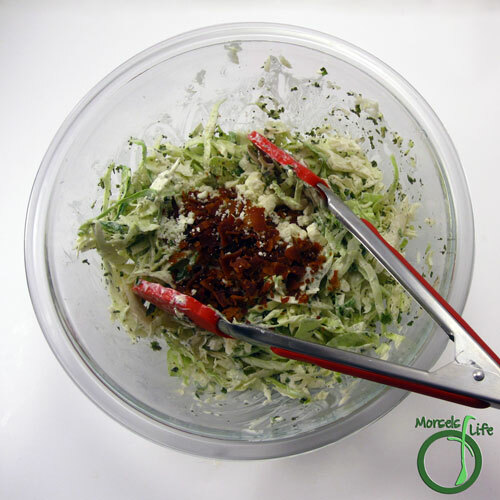 Combine cabbage, green onions, mayo, apple cider vinegar, celery seed, and parsley. 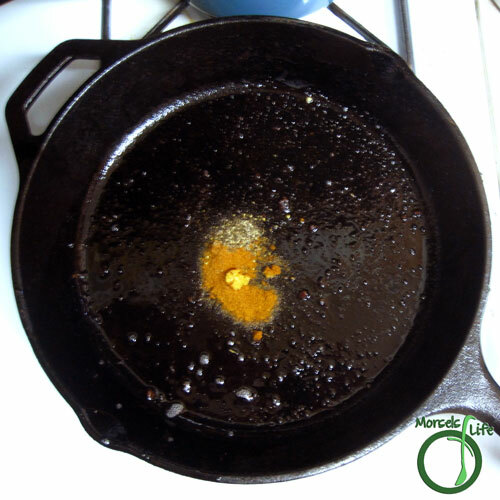 Mix in feta cheese and bacon bits. Top with shrimp. 2. Heat garlic, pepper, and paprika in a bit of oil until fragrant. 3. Add in shrimp, and cook until done. 4. 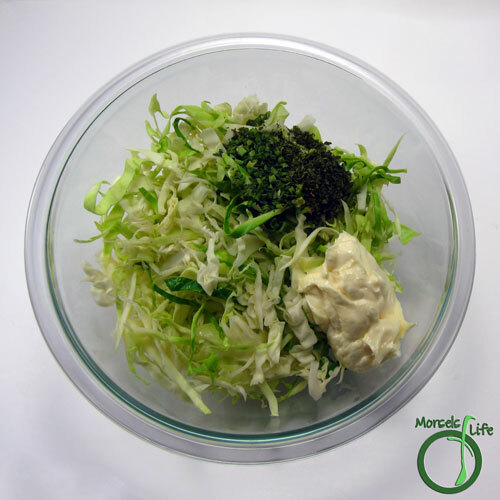 Combine cabbage, green onions, mayo, apple cider vinegar, celery seed, and parsley. 5. Mix in feta cheese and bacon bits. Top with shrimp. Bet this is really good. Thanks for sharing. Bacon, shrimp, and coleslaw! I think I just found my dinner! I found you through the Friday Food Frenzy at Close to Home. Following you now.